Come and check out our dance classes! Short Dance Studios offers classes in jazz, ballet, pointe, lyrical, tap, modern, acro, hip hop, musical theatre, fitness and music lessons. SDS also offers multi level time commitment and performance opportunities via three different levels; recreational, performing and competition. Jazz incorporates bold dramatic body movements, body isolations and contractions. There is a strong focus on center control which improves the core and stabilizes movements and on spotting which helps dancers turn without becoming dizzy. Ballet is the backbone for other styles of dance. It builds the foundation of technique. The techniques were developed on over centuries. Ballet is the most formal type of dance and has its own vocabulary derived from the French. After many years of ballet dancers may begin pointe. With the reinforcement of pointe shoes dances are made to look weightless. 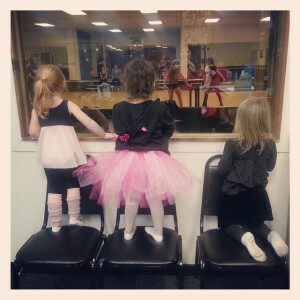 Lyrical combines the elements of ballet, modern, jazz and tap technique classes. Dances use lyrical of a song or instrumental music to inspire them to do certain movements. It uses gesture, facial expression and controlled movements to execute emotions fully. Tap dancers wear shoes with metal plates and use their feet like drums to create rhythmic patterns and timely beats. Modern dance rejects many of the strict rules of ballet expression of inner feelings and creativity. Dancers wear bare feet and non-traditional costuming. Acro uses athletic characters and unique chorography which seamlessly blends dance and acrobats. It is very physically demanding. Hip Hop uses various moves breaking , popping, and locking. Improvisation and personal interpretation are essential to hip hop dancing. Because of music videos, hip hop has become a very popular type of dance. Musical Theatre is a form of theatrical performance that combines songs, spoken dialogue, acting, and dance. The story and emotional content of a musical – humor, pathos, love, anger – are communicated through the words, music, movement and technical aspects of the entertainment as an integrated whole.